Massachusetts law requires employers to deal with several intersecting laws governing employee leave and sick time, and businesses must be able to navigate this complex area. Complicated questions arise when the line gets blurred between employee FMLA rights, applicable workers’ comp coverage, and employee rights under state and federal leave laws. Whether it be an employee with never-ending intermittent FMLA leave or an employee who requests repeated extensions of a block leave of absence, employers are often faced with difficult questions related to complying with their leave law obligations. On April 11, 2019, from 8:30A - 10:00A, Skoler Abbott attorney John Gannon will present an informative seminar to discuss an employer’s leave obligations under Massachusetts law, trends at the state and federal level, and common leave management mistakes. He will also discuss strategies for preventing abuse of leave. John Gannon is a Partner with the law firm of Skoler, Abbott & Presser, P.C., one of the largest law firms in New England exclusively practicing labor and employment law. John specializes in employment litigation and HR-related compliance and consulting work. He has defended employers against claims of discrimination, retaliation, harassment, and wrongful termination, as well as actions arising under the Family Medical Leave Act, wage & hour laws, and the Occupational Health and Safety Act. He also has experience with lawsuits seeking to enforce restrictive covenants, non-compete agreements, and trade secrets. 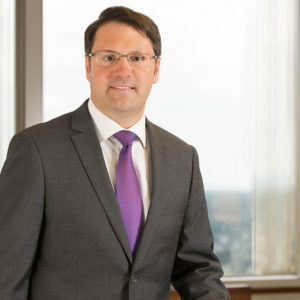 He was recently selected as a Super Lawyers Rising Star, an exclusive list recognizing no more than 2.5 percent of lawyers in Massachusetts. The cost is $15 for members, $20 for non-members. *All registrations made one week or more prior to an event date may be canceled and refunded up to 48 hours before the event. Any changes and cancellations made after will not be refunded and still be billed.